Make your customer part of your design process. Meet them, get requirements from them and involve them in your discussions, ideas and decisions. This helps you to understand their needs, the way they work and even the way they think, and thus makes it easier for you to create a desirable product for them. Building good relationship with your customer is important as this is the only way to keep them loyal with you and your company. 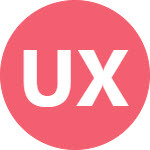 Next ›How To Be A Great UX Mentor?